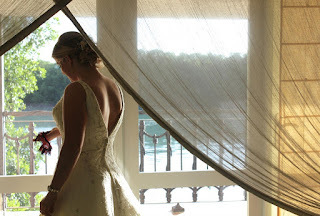 Remember Stefany from The Majestic Vision who did triple duty as wedding planner, coordinator and maid of honor for bride Marah's wedding that was featured in one of last year's Real Weddings posts? One of my repeat customers, she also purchased the garter for her sister, Emily's wedding to Jonathan. 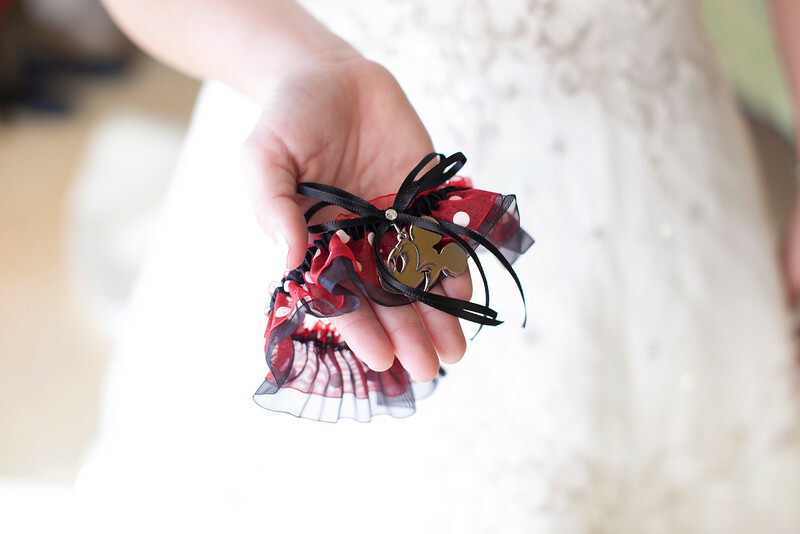 The bride and groom are both huge Disney fans, so we added a Mickey Mouse charm to one of my red and black polka dot garters. 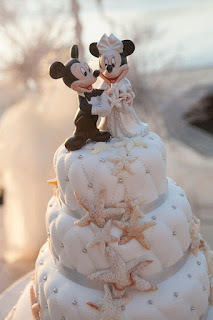 The couple had a Mickey and Minnie Mouse cake topper AND went on a Disney-themed cruise for their honeymoon ~ the wedding garter we created was perfect! Photos courtesy of Shay Cochrane Photography. 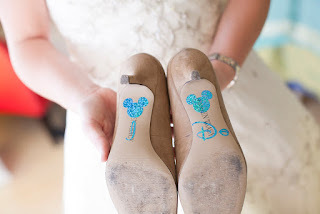 So many little Disney details! These shoe decals do double-duty as Emily's "something blue"! 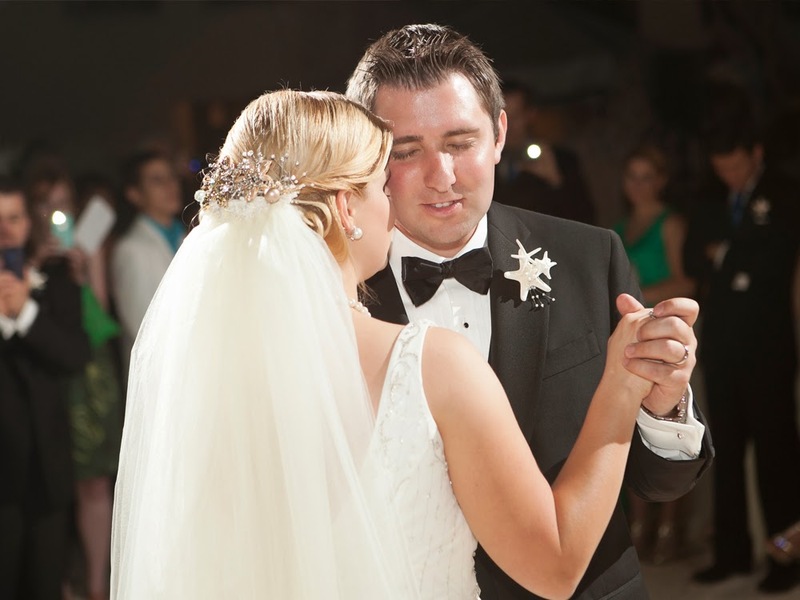 One more photo of the beautiful bride and her groom! View all these photos and more from Emily's special day on The Majestic Vision's website here. And if you're interested in ordering your own custom wedding garter for your big day, contact me via this form on my website!